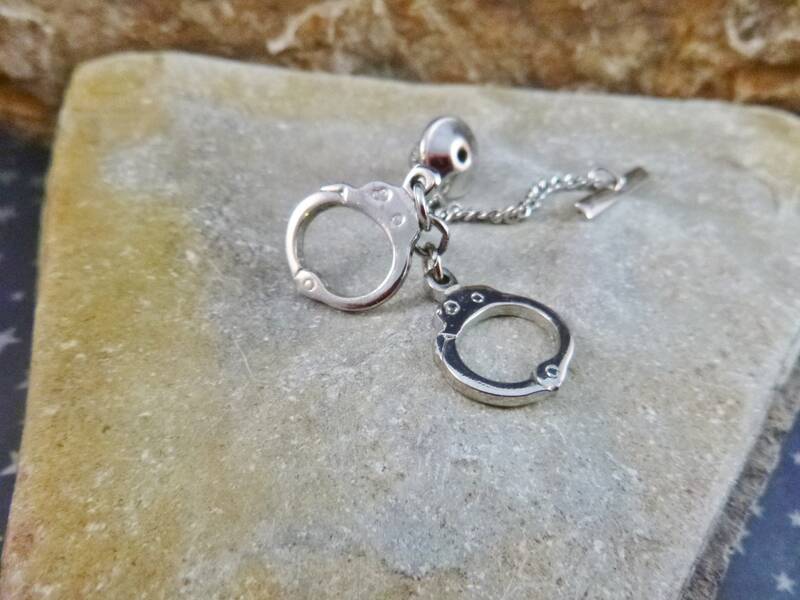 I found this handcuffs tie tack at an out of the way vintage shop on the eastern slope of the Rocky Mountains in Colorado. 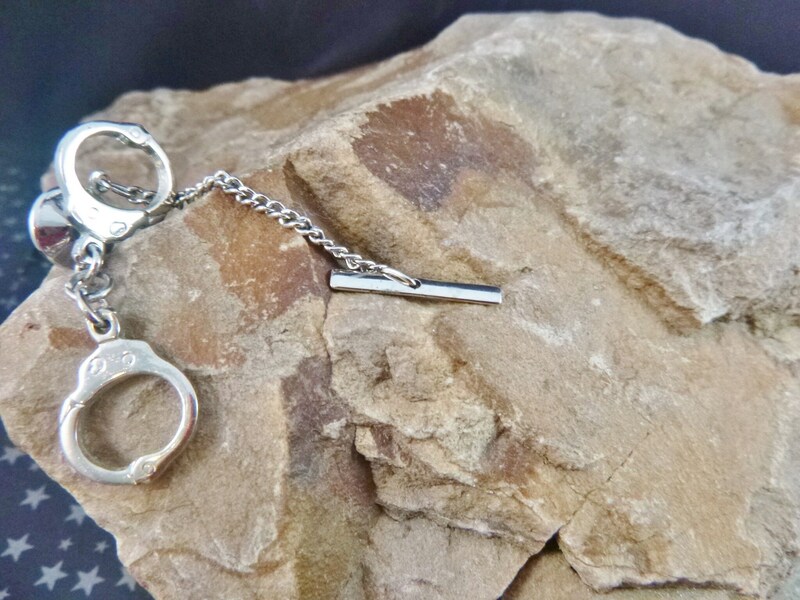 It's perfect for any law enforcement professional or 50 Shades of Grey enthusiast. 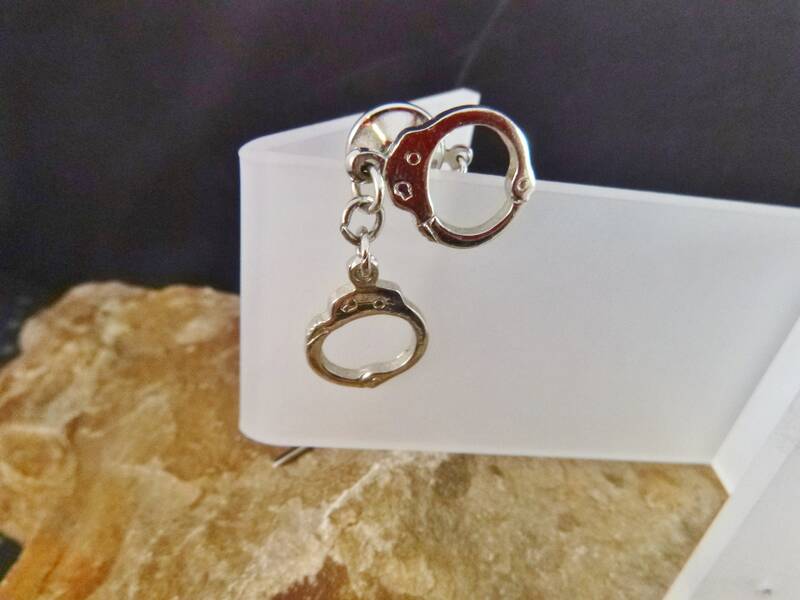 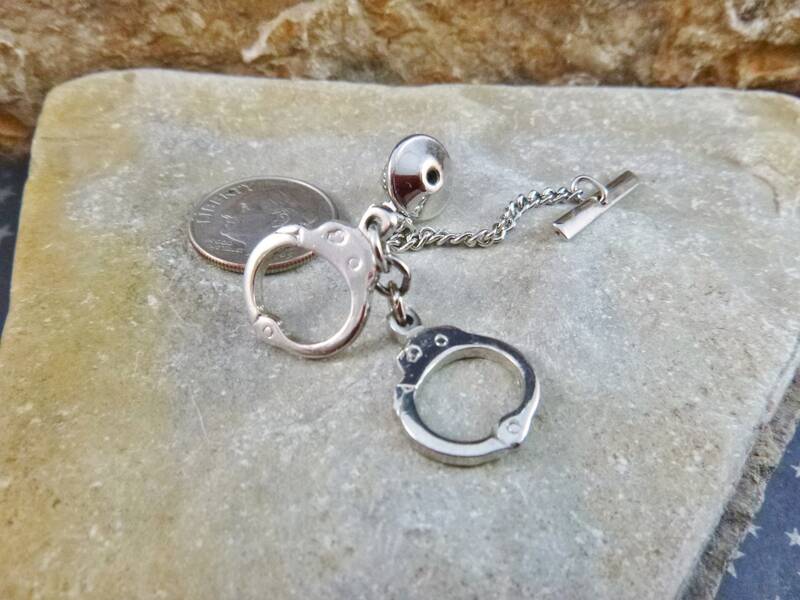 Made of silver tone metal, the handcuffs are joined with a chain and dangle from the slide pin mechanism and have a shirt button chain. 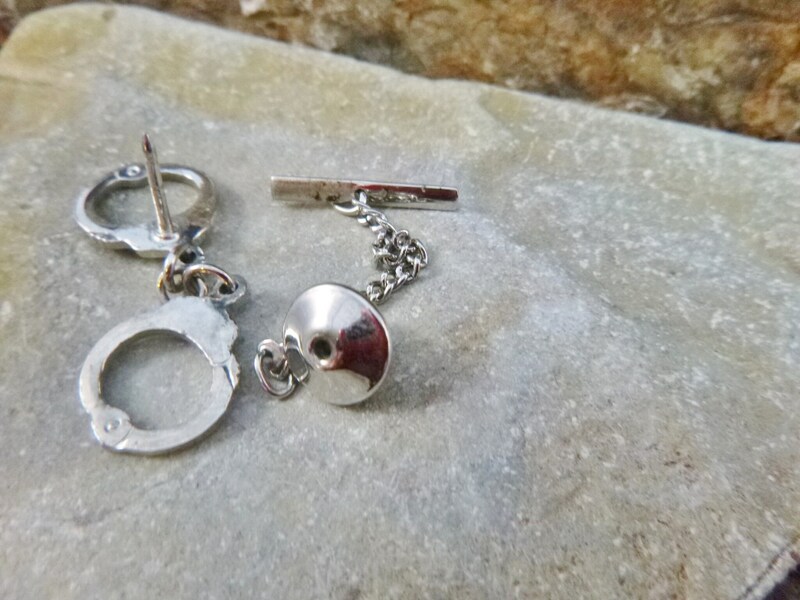 Overall the tie tack is in very good vintage condition, with limited signs of wear, with the exception of the back of the shirt button bar where there is visible wear (see picture 5). 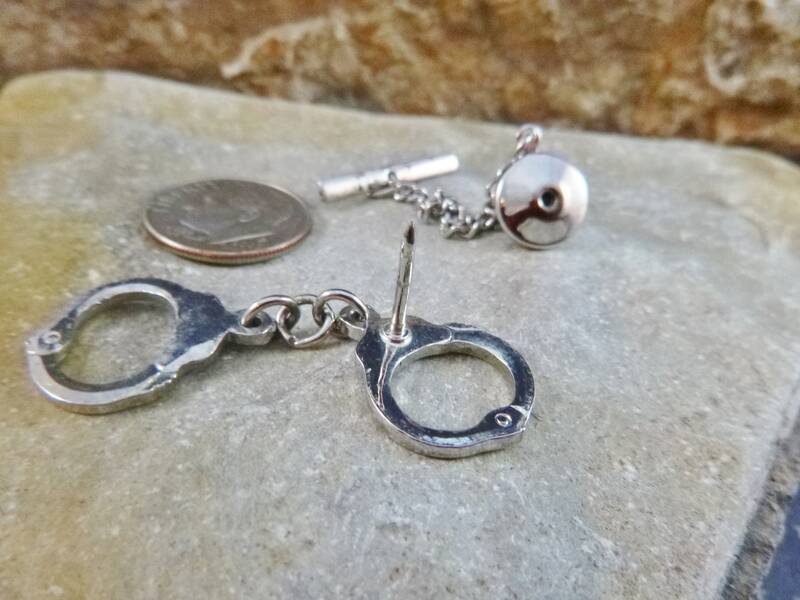 The pictures offer greater perspective on the vintage condition and style of this unique tie tack.